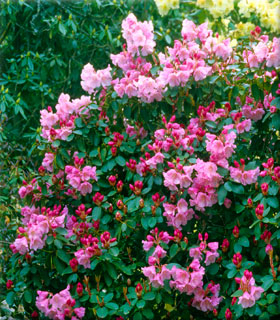 Comments: Dark pink buds open a light pink against a backdrop of small, jade-green leaves. New growth is a treat in itself as they are a shiny copper. Has been in production since 1935. A test of time.